Use MACH 6 to measure each pulse (up to 200 kHz). 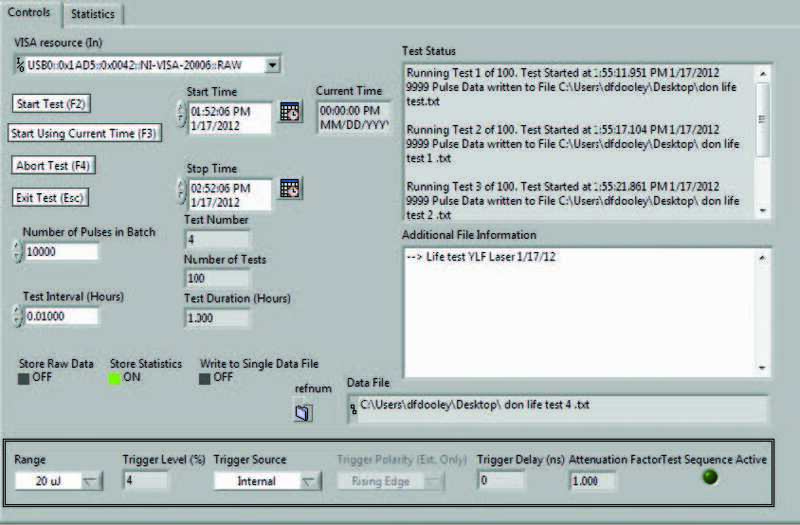 12-digit test accuracy, real-time acquisition of up to 4 million pulses. The MACH 6 Joulemeter is the only instrument in the world that operates at such speed and accuracy. 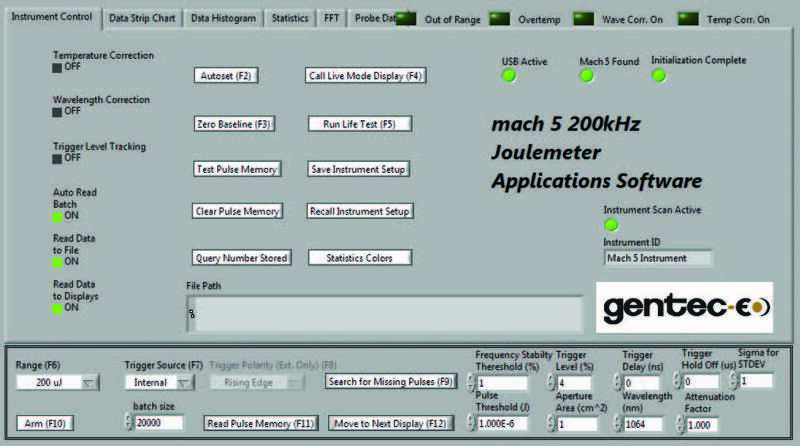 The Joulemeter is designed to support all our fast energy detectors, including silicon detectors, indium gallium arsenide detectors and pyroelectric detectors. The measurement range is from pJ to mJ, from 0.35 μm to 2.5 μm. 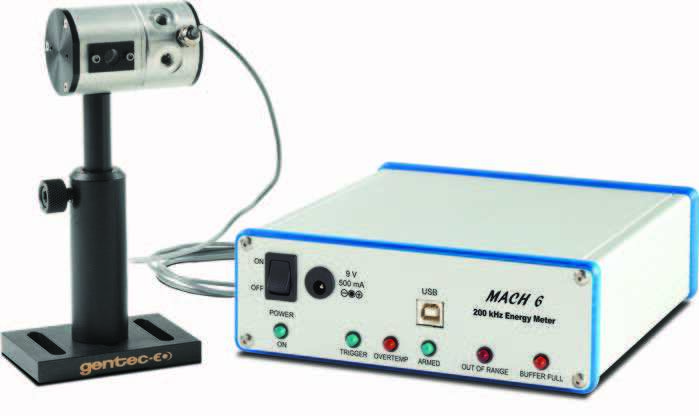 With the M6-Si detector and the M5-UC-QED accessory, you can make measurements at the 266 nm level. 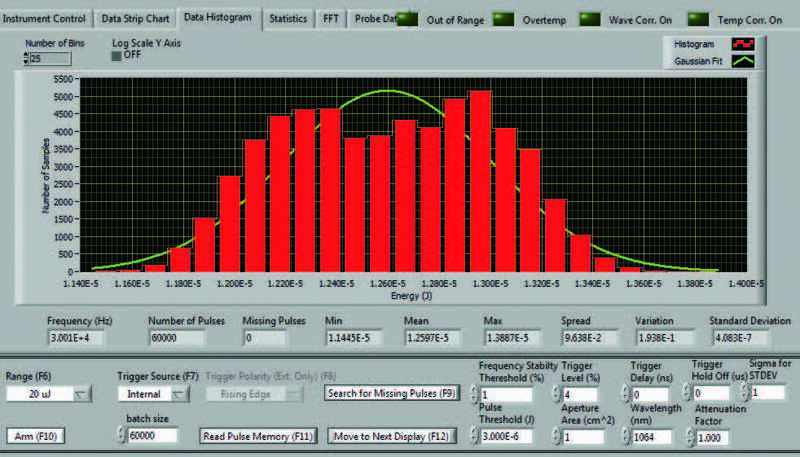 The statistics show you a very complete list of applicable energy readings and calculated statistics. These include: minimum, maximum, average (mean), standard deviation, range, and change. 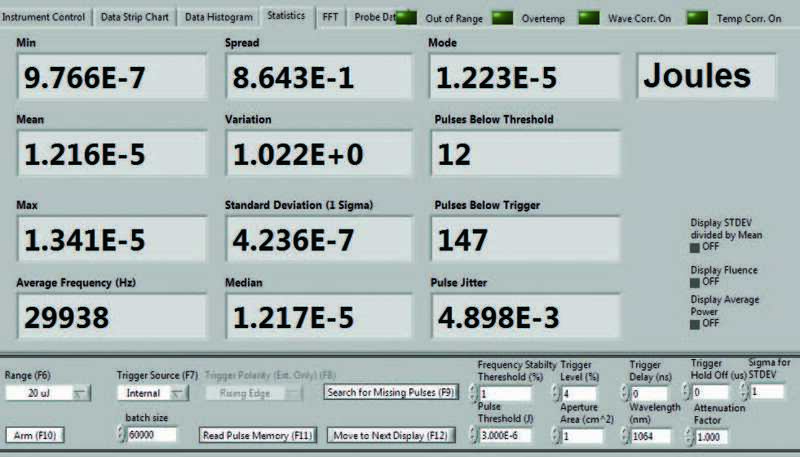 There are other useful features, including: window display, average frequency, pulse jitter, triggering the following pulses, thresholds (the level you set) below the pulse. 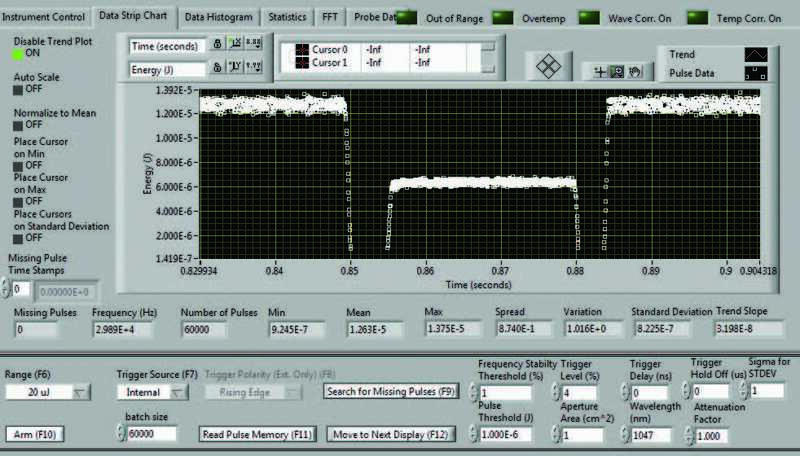 From the screen on the left you can see 12 pulses below 3 μW with energy thresholds and 147 drain pulses (or pulses below). Do you want to run a life test on your high repetition rate pulsed laser? 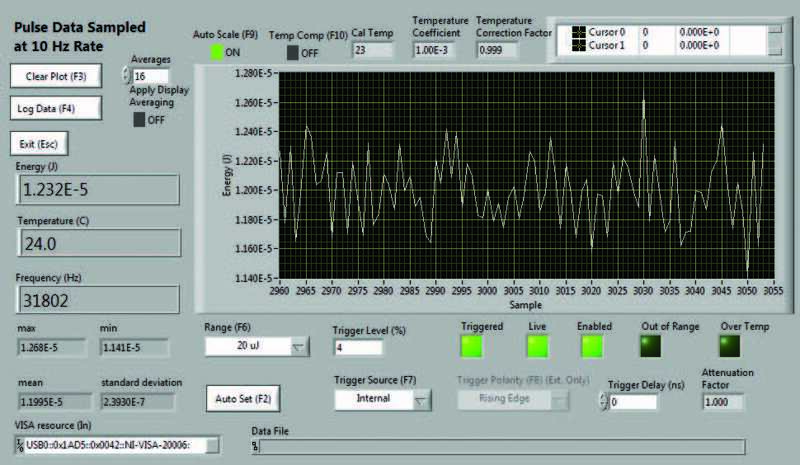 Do you want to take a look at the impact of environmental changes (such as temperature) on the cycle test? We've added a great feature to help you make this happen. In the Life Test screen, you can select the statistics you want, the start time and date, the end time and date, the number of pulses, and the test interval. You only need to specify a file for storing data, and then click start, during which time you can go out and turn! When you come back, you'll see a data set that tracks your laser's performance, temperature, shock, vibration, or any other item of your choice at a selected time.